Manco prides itself on timely, proactive & professional product support. Manco's reputation has been built on its product support capability. Manco understands that repeat customer business comes from exceptional customer support. Manco Environmental Ltd is committed to ensuring your vehicle is kept safe, reliable & on the road working at all times. Comprehensive maintenance training by a qualified Manco technician is provided to customer workshop staff on delivery. Comprehensive Operator training including work safe practice is also covered during new vehicle delivery. Additional operator or workshop staff training can be arranged as required. Manco prides itself on timely & reliable Service Support. Manco staff are available for advice & continued support for the lifetime of each vehicle. Manco Auckland based Product Support team have over 15 years experience working with compactor trucks. 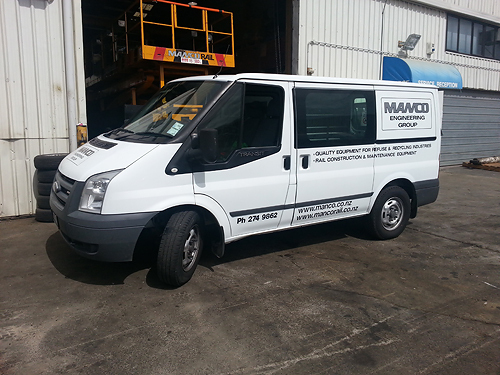 Manco has breakdown mobile service technicians based out of our workshop facility in Auckland. Manco holds significant stock of spare parts at the Auckland premises. All mobile service vans contain a comprehensive range of ‘quick moving’ service parts which often allows for the fast resolution of service calls in many instances. Spare parts are always shipped same day where possible for orders received prior to 3pm.